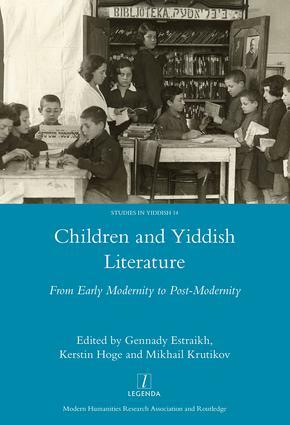 Children have occupied a prominent place in Yiddish literature since early modern times, but children’s literature as a genre has its beginnings in the early 20th century. Its emergence reflected the desire of Jewish intellectuals to introduce modern forms of education, and promote ideological agendas, both in Eastern Europe and in immigrant communities elsewhere. Before the Second World War, a number of publishing houses and periodicals in Europe and the Americas specialized in stories, novels and poems for various age groups. Prominent authors such as Yankev Glatshteyn, Der Nister, Joseph Opatoshu, Leyb Kvitko, made original contributions to the genre, while artists, such as Marc Chagall, El Lissitzky and Yisakhar Ber Rybak, also took an active part. In the Soviet Union, meanwhile, children’s literature provided an opportunity to escape strong ideological pressure. Yiddish children’s literature is still being produced today, both for secular and strongly Orthodox communities. This volume is a pioneering collective study not only of children’s literature but of the role played by children in literature.